(CBS News) A new study suggests that the widely used medical test called an electroencephalogram (EEG) may be able to diagnose children as young as 2 with autism. Autism tied too many brain cells: Will finding bring better diagnosis? An EEG is a test that records the brain's electrical activity by attaching sensors to a person's head that print out the data to a computer. According to WebMD, the test is used to diagnosed epilepsy, sleep disorders, measure brain activity in patients in a coma or to distinguish if a person has a physical problem in the brain or nervous system or a mental health problem. 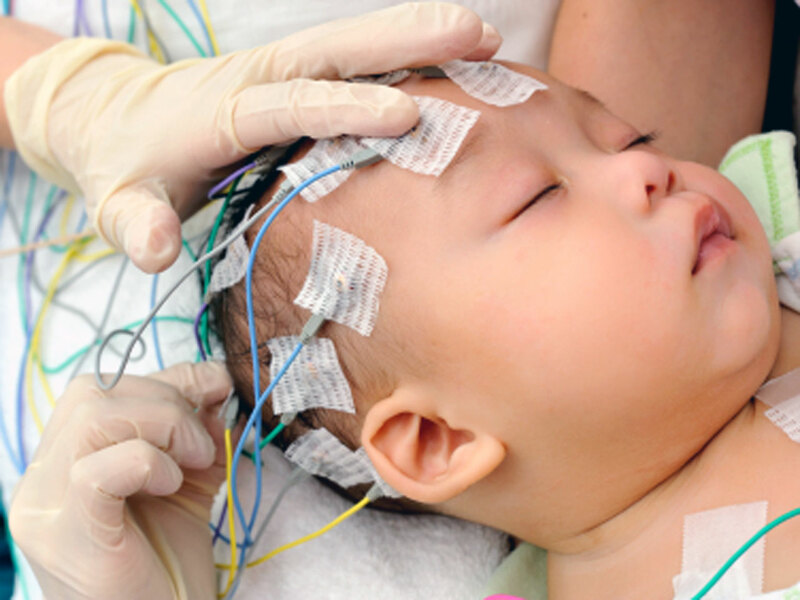 Researchers at Boston Children's Hospital compared raw EEG data from 430 children with autism to data collected from 554 control subjects, all ages 2 to 12. They found that children with autism displayed consistent EEG patterns which indicate altered connectivity between brain regions. They found altered connectivity throughout the brains of kids with autism, but they found a pronounced reduction in connectivity in regions of the left hemisphere that control for language areas. Children with autism showed increased connectivity between brain regions that were farther apart, which suggests they may have developed a way to compensate for other connectivity problems. "The brain works like a series of computers and they have to hook to one another through nerves in the brain in order to connect and function together," study author Dr. Frank H. Duffy, a psychiatrist at Boston Children's Hospital, told TIME. "We can estimate from EEGs how well regions connect to one another. In total, the researchers found 33 "factors" that distinguished the children with autism from their controls. This end result was confirmed when the researchers split and analyzed the data in different ways. The findings are published in the June 26 issue of BMC Medicine. "These factors allowed us to make a discriminatory rule that was highly significant and highly replicable," Duffy said in a press release. "It didn't take anything more than an EEG - the rest was computational. Our choice of variables was completely unbiased - the data told us what to do." The researchers hope their findings could lead to a diagnostic test for autism, especially for children of younger ages when behavioral symptoms might not be easily noticed. Next they plan to study the tests on children with Asperger's syndrome to see if the EEG patterns differ. Recent CDC estimates suggest one in 88 U.S. children has an autism spectrum disorder that can result in significant social, communication and behavioral challenges. Visit CBSNews.com to find out more on the latest developments in autism research.